Promotional items, like key chains, pens, anodized aluminum water bottles, flashlights and coasters can be laser engraved with company logos and taglines. 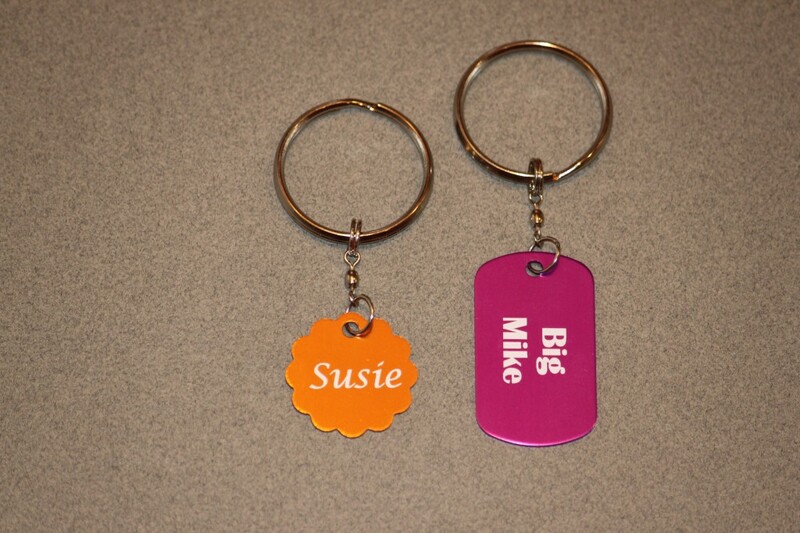 You can even personalize these items for special events to really make your brand stand out. The great thing about laser engraving compared to silk-screening or other processes is that you can run one item or thousands. Unlike some laser engraving services, MBF Laser can engrave one-offs or multiple items with corporate logos and personalization for that extra touch your customers, employees and representatives will appreciate. Copyright © 2018 MBF Laser. All rights reserved.